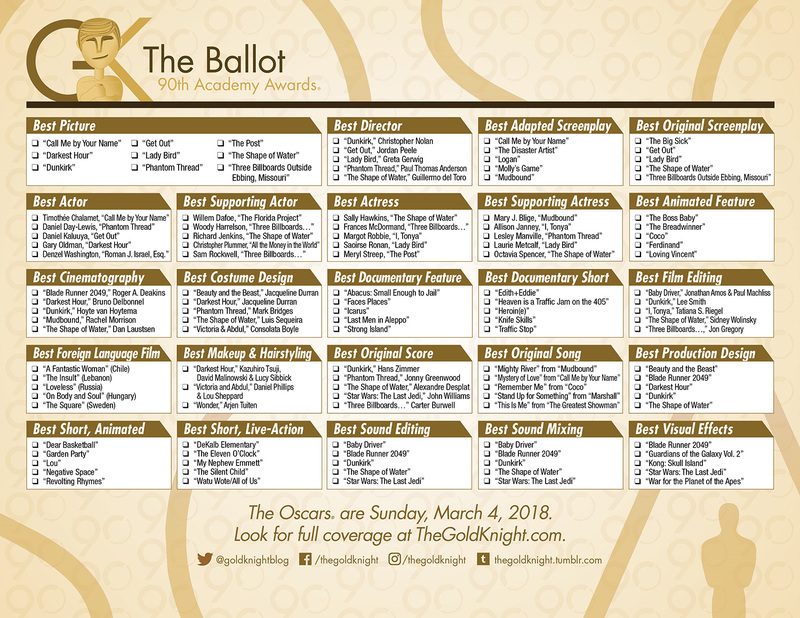 The Gold Knight has designed a one-page printable ballot for the 2018 Oscars. Download it now! 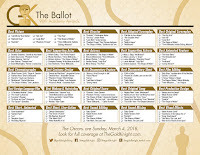 Looking for our 2019 ballot? We've got you covered. The Gold Knight has designed a one-page printable ballot for the 90th Academy Awards. This gorgeous ballot, embellished for the 90th anniversary, is the perfect complement to your 2018 Oscar Party or office pool. Download the ballot, print it out and pass out at your workplace or during your party (go here to download the PDF). It's in glorious color. 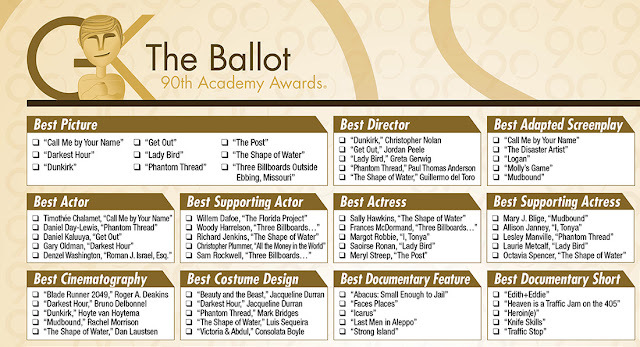 RELATED: Download our 2018 Oscars Movie Checklist; have you seen all the films? “Dunkirk” followed with eight nominations, including Best Picture and Best Director for Christopher Nolan. Rounding out the most nominated is “Three Billboards Outside Ebbing, Missouri” with seven. We'll find out on Oscar Sunday, March 4, which movies take the top prizes.